Achieving perfect balance and offsetting the weight of your sight, quiver and other accessories has never been more accurate, adaptable, or simple. 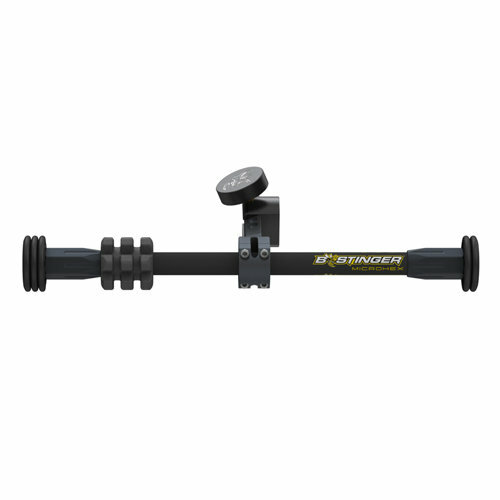 The Bee Stinger Counter Slide offers limitless configurations for you to customize the optimal balance for you whether you’re hunting or target shooting. Offsets the weight of sight, quiver and other accessories. Allows additional weight distribution both forward and back. Includes 5 individual 1 oz. weights and sliding bracket allow for minute adjustments to achieve perfect balance.